The ongoing drama at the power plant in Fukushima - a name now ranked alongside Three Mile Island and Chernobyl as history's worst nuclear accidents - has erased the momentum the nuclear industry has seen in recent years. Before Fukushima, a "nuclear renaissance" - as it was termed in the press - seemed well underway, except for this point: Nuclear power, as a total of world energy supply, has been in steady decline for the past decade. The shockwaves from the Fukushima plant disaster shook German politics, which could have economic implications far beyond the nuclear industry as Germany - the largest economy in Europe - attempts to steer the eurozone out of its debt crisis. Chancellor Angela Merkel's Christian Democrats suffered a historic loss to the Green Party during a key state election in Baden-Württemberg, a traditional stronghold for Merkel's party. "Radiation in particular is a scary thing - we can't see, we can't touch it, you can't look at the ground and know its there," said Harding, a former vice president of engineering at GE Nuclear Energy who now advises companies on nuclear industry issues. While the devastation in Fukushima is "horrible," Harding and other nuclear proponents argue that nuclear crises aren't being judged by the same yardstick as other - and statistically more deadly - industrial disasters. "Look at Bhopal: thousands of people died there - did people walk away from chemical engineering?" said Harding, referring to the 1984 Union Carbide chemical plant disaster in India. 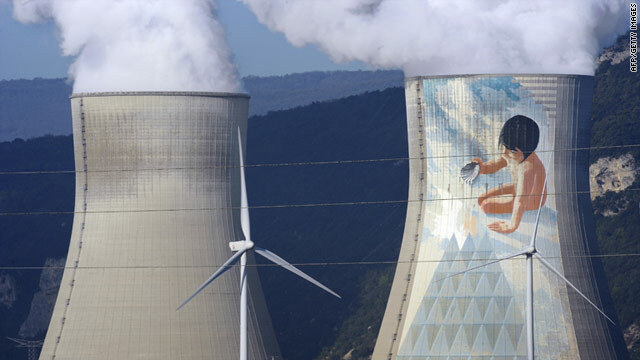 In the past decade, however, many environmentalists have embraced nuclear power as a better alternative than coal and gas-fired plants to reduce greenhouse gas emissions. France, for example, gets 75% of its power from nuclear plants - the highest ratio in the world, according to the IAEA. By comparison, the U.S. gets just under 20% of its power from nuclear, although it has the most reactors in operation - 104 reactors, nearly double the number in France. "These plants are 30-year investments - it's hard to get the market interested in more than two-year investments, and loan guarantees are not a subsidy," countered Harding of the American Nuclear Society. Government backing of insurance in case of disasters has resulted because "the nuclear industry has had so few accidents, there is no actuarial for insurance companies on which to offer an insurance policy," she added. « Previous entryShowdown in Syria: will Friday protests force Assad's hand? "Costs of nuclear power plants can be as high as $10 billion"
Nuclear plants comes in various sizes. Saying a can of tuna fish can cost as much as $5 doesn't tell me anything about the cost of tuna unless the size of the can is included. Uranium is inherently dangerous as are all conventional nuclear plants. See Cold Fusion at http://www.aesopinstitute.org for a far safer alternative. Modules now in production are said by the inventor to be able to yield electricity at a penny per kilowatt hour in the future. One scientist says when that happens there will be a "stampede". Cheap green power is on its way. All fossil and Uranium fueled systems will soon have a very surprising competitor.